A couple of years ago, I wrote about my love-hate relationship with my iron in a tribute to my Dad and his crisp office shirts. In that same train of thought, when growing up in the 1970’s, while in school in the 1980’s, and when launching my career in the 1990’s, the expectation was to have clean, neat and crisp clothes anytime I set foot outside the house, because “you never get a second chance to make a first impression”. Even if we look back at pictures from that era and question the wisdom of some of our fashion choices, neat and tidy clothing were a common denominator. My parents’ suit-and-tie generation set the bar pretty high, even for a child. 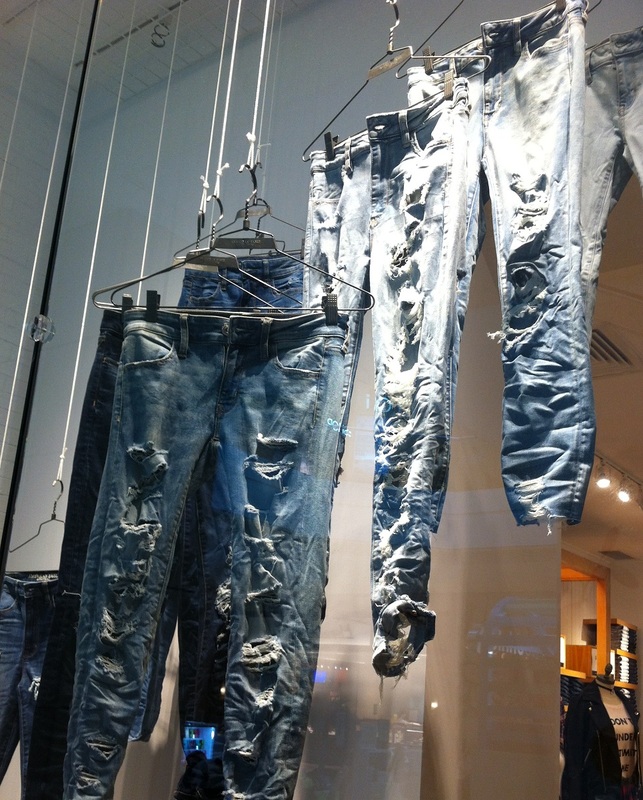 Clothes were meant to be worn gently, and maintained carefully to keep looking new as long as possible. The rotation generally went like this: every September, we got me new school clothes and the previous year’s school clothes (if I hadn’t outgrown them yet) became the “play clothes”, for wearing as soon as I got home from school. When a new batch of school clothes came in, a batch of gently-used play clothes would go to charity. Along the way, a little nick in clothing meant taking out the needle and thread and try to make an invisible repair to restore it to its original beauty. And if invisible mending wasn’t successful, it went into the donation box. That’s just the way I was brainwashed… I mean, brought up. It wasn’t just my parents’ generation that instilled this way of thinking, but it was my grandparents’ generation too who declared open war on wrinkles and holes long before I was born. And just think of the staff on Downtown Abbey and how many items they’ve darned and mended through their six seasons. 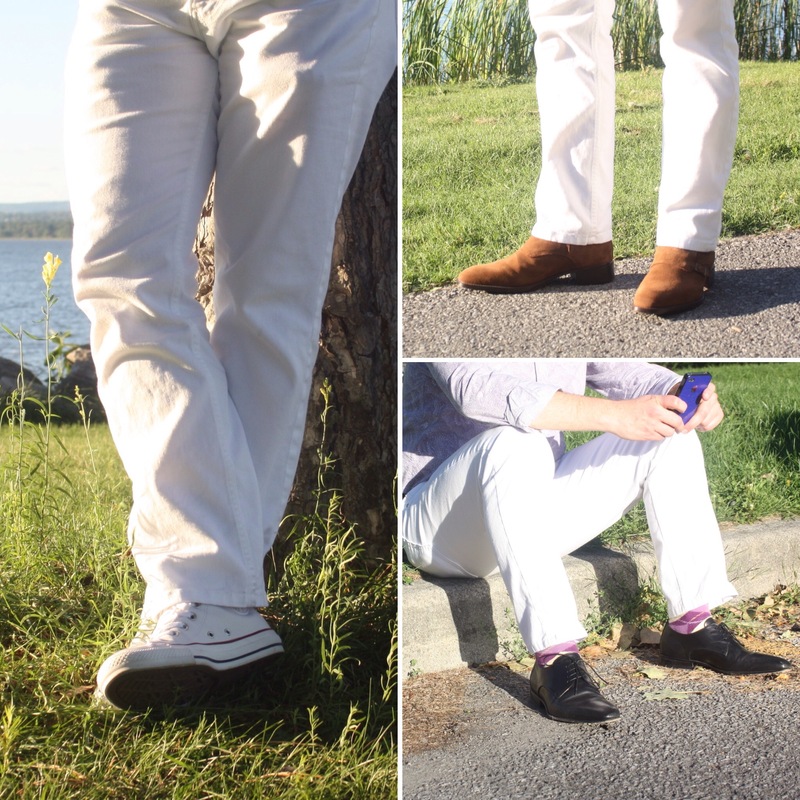 Whether you are a traditionalist, wearing white pants between Easter and Labour Day, or a rebel and pushing the envelope after Labour Day, did you notice that there seems to be a few rules that go with wearing white pants, even though no one really talks about them? When I have seen people defying these rules, I have been known to gasp out loud. I have even commented that they are braver than I would ever be and that they must be adrenaline junkies who like to live on the edge. Perhaps it’s just my overall lack of coordination that makes me say that. Either way, I know there has been much dialogue about the “rule” of whether white pants should be worn between Labour Day and Easter, but I think there is a more elaborate set of rules on which I am certain we can all agree. That one drop of coffee on the white pants is not only hard to get out, but it seems to stick around the whole day. I don’t know what it is but when I walk around with a piece of paper containing work done in pencil, that will be the time it will smudge… and more than likely, on the pants. If I must eat a hamburger or hot dog, it is best eaten at a table, or else I will forego the mustard or ketchup. With the latter, I don’t want my pant leg to look like a barber pole.